Ashique is an Australian solicitor and Counsel at Fietta LLP. He represents private clients and sovereign States on a broad range of contentious and non-contentious public international law matters, including arbitral proceedings brought under investment treaties. Ashique has acted as counsel in multiple arbitrations under the ICSID, ICC, LCIA and UNCITRAL Rules, several of which have related to claims over $500 million. Other public international law topics on which Ashique advises include the law of the sea, the law of treaties, jurisdictional immunities and international investment law. 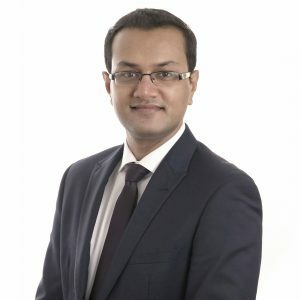 Recent highlights of Ashique’s practice include successfully representing the respondent in an international arbitration proceeding relating to the joint development of an offshore gas field (defeating all claims) and representing a major US petrochemical company in a substantial pending ICSID arbitration against Venezuela. Ashique holds a BSC from the University of New South Wales, an LLB from the University of Sydney and an LLM in public international law from the same institution. Prior to joining Fietta, Ashique was an associate at a leading public international law firm in London. He has also worked at a UK “Magic Circle” firm, a “Big Four” accounting firm and at a refugee and human rights law NGO.